Back for the eighth year in a row, hundreds of historic vehicles will descend on to Kielder Water & Forest Park. 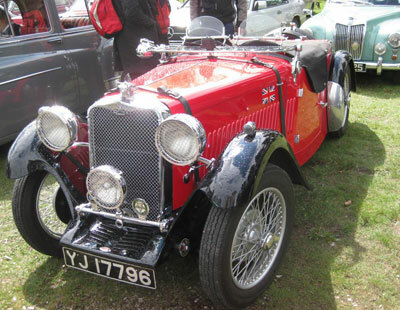 A firm family favourite, the Kielder Vintage and Classic Vehicle weekend will take place on Saturday 10 and Sunday 11 May 2014. At the main show on the Sunday, a spectacular array of classic and vintage cars from yesteryear will line up beside Kielder Castle, offering visitors a nostalgic glimpse into the bygone era of motoring, as well as a family day out in England’s number one tourism attraction (VisitEngland 2013). Visitors will be able to marvel at all types of motorised transport, from the legendary Ford Model T to the 1970s Morris Marina. Or why not visit the day before - on Saturday 10 May 2014 you’re invited to join in the Kielder Classic Vehicle Run, a 50 mile leisure drive which will take in some of the stunning scenery of both the Scottish Borders and Northumberland. To take part in the classic vehicle run on 10 May or the show on 11 May, please contact Wesley Turnbull on 07800 853 475 for more info. Sponsored by Macintyres of Gosforth Classic Cars, the show is free to attend (usual parking charges apply) so drop in anytime between 10.30am and 4pm. ‘Like’ Kielder Water & Forest Park Vintage & Classic Vehicle Show on Facebook. 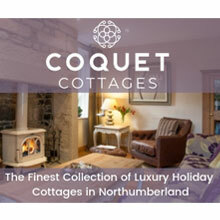 Click here to check out other events happening at Kielder Water & Forest Park.